Episode 165: Can a Background in Teaching Help Soccer Coaches on the Field? Katie Nimitz is the Camp Director and a trainer for Beast Mode Soccer. She is also an assistant coach at Western Kentucky University. We started out the conversation talking about the wide array of responsibilities she has when it comes to soccer. Later, we discussed coaching education and what it takes for a player or coach to really make it if they want to be at the top level of the sport. Her experience working with Beast Mode Soccer has given her the opportunity to work alongside one of the best trainers in the country. It has also allowed her to see and work with some of the best players. You can connect with Katie on Twitter. Links to more Beast Mode Soccer material are below. 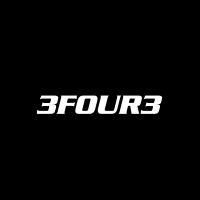 David Copeland-Smith, the Founder of Beast Mode Soccer, Reveals Why He Is 3four3 Member. Tiffany Weimer, Founder of Duktig Brand, Talks About Life As a Professional Women’s Soccer Player in America.